Suitable for tooling up the edge of PCB and groove cutter. In addition to diamond eye cutting shape, it functions well to release cutting waste. Smooth processing board face is designed to lengthen the cutter life. Milling cutter with a right-turn blade edge is designed for board sides requiring high precision. 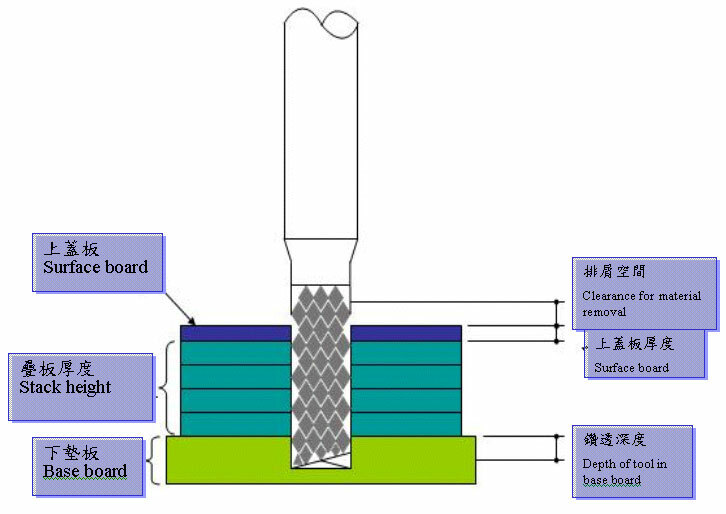 It is suitable for PCB golden-finger surface processing and precision board edge trimming. Right-turn cutter with wide and deep blade groove. Left-turn cutter in delicate lineup is applicable to paperboards, naked copper boards and various super hard boards. Suitable for tooling up the edge of BGA and groove cutter. In addition to diamond eye cutting shape, it functions well to release cutting waste. Smooth processing board face is designed to lengthen the cutter life. Milling cutter with a Left-turn blade edge is designed for board sides requiring high precision. It is suitable for PCB golden-finger surface processing and precision board edge trimming. Cutting tool suitable for Assembled PCB and additional rework processes . In addition to diamond eye cutting shape, it functions well to release cutting waste.